Purchasing footwear isn’t just a fashion decision. It is a decision that affects your comfort and health both in the short term and over a period of years. Quality, repairable footwear gives your feet the support they need to bear up to their daily burden. It is a renewable resource that eases the burden on your bank account. It even eases the burden on the environment by staying in service for years instead of clogging landfills. There are three keys to choosing quality footwear. First, look for a shoe with solid construction that will give your feet the support they need. Next, look for quality materials that will make your feet comfortable and keep them healthy. Finally, make sure you buy shoes that fit properly. Two important elements to look for in the construction of a men’s shoe are a steel shank and a hard heel counter. The shank supports the arches so feet can stand up to their workload. The counter provides additional support for people who walk to the outside and break down a shoe. Women are more prone to problems than men because the styles they wear are often bad for their feet. Flat shoes with rounded toes are much better than high heels. A steel shank for arch support is preferable and a leather lining will keep the shoes from spreading out as soon as you wear them. Quality materials mean comfort and durability. Always look for uppers made of leather or some other natural material. Leather allows your feet to breathe and moisture to escape. Vinyl and other synthetics trap heat and moisture. Your feet will be hot and the trapped moisture makes an ideal breeding ground for bacteria. Linings, insoles and fillers should be made of natural materials for the same reasons. Soles should be leather or composition rubber. Leather allows the shoes to breathe. Rubber is longer wearing and increases slip resistance. Also, rubber heels are best for wear, comfort and slip resistance. Shoes that don’t fit can cause a variety of problems from blisters, corns and calluses, to foot, leg and back pain Here are some tips on finding shoes that fit. First, quality shoes come in sizes and widths. Some brands come in medium widths only. People with narrow feet buying shoes with a medium width have to fit the shoes short to keep them on their heels. When you take a step, your foot elongates by 1/3 of an inch. That is a full shoe size. 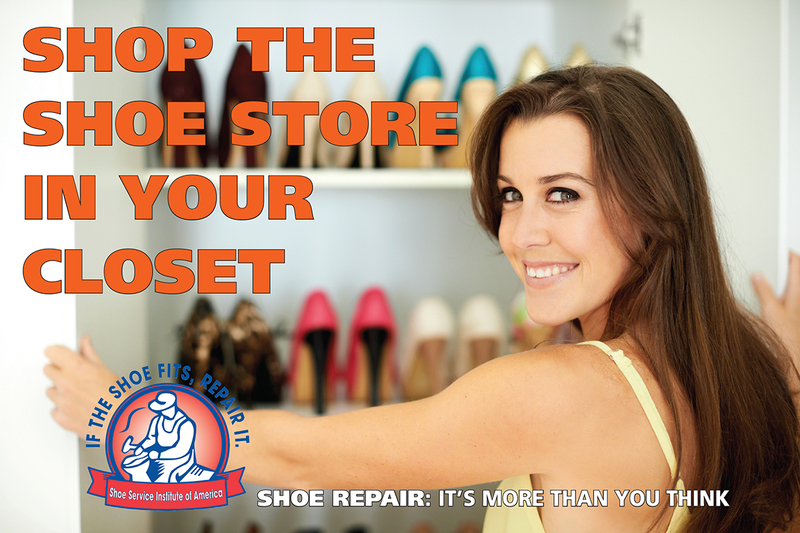 If your shoes are fit short, your toes have nowhere to go when you walk and you end up with toe problems. People who have wide feet buy medium width shoes extra long in order to fit their feet. When this happens, the shank, designed to be under the arch of the foot, is actually under the ball. The shoes don’t bend easily and they slip at the heel. When you are trying on shoes, make sure the wide part of your foot sits in the wide part of the shoe. Allow 3/8 to 1/2 inch of free space in the toe area. Also, try on shoes at the end of the day when you feet are the largest and, if you are like most people who have one foot slightly larger than the other, fit your larger foot. Unfortunately, not everything we mentioned can be seen with a visual inspection. Shanks and fillers are inside the shoe — between the sole and the insole. Genuine and imitation leather are difficult to tell apart at a glance. Rubber and plastic will also look alike to the untrained eye. However, manufacturers that use quality materials like to talk about them. Ask for literature when you are considering a purchase. If no literature is available, ask the salesperson for more information. If the sales person can’t answer your questions, it’s time to look elsewhere.